Try these four fresh and healthy iced tea recipes to keep you hydrated this summer. 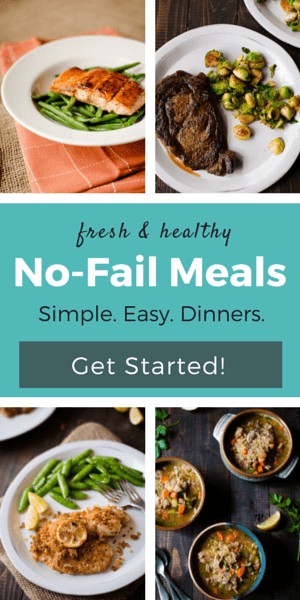 All sorts of flavor without any refined ingredients! Iced tea has always been one of my favorite drinks. Even as a kid, I would choose iced tea over soda or juice. Maybe it was because it’s what my dad ordered all the time and what we always had available in the fridge, but it holds such positive memories for me from my childhood. As a kid, I loved all the different flavors of iced teas, though I can bet you I probably added way too much sugar into my iced tea recipes. As an adult — especially one who follows a clean lifestyle as much as possible — I try to avoid adding extra sweeteners to my food, choosing instead to add fresh fruit or herbs. 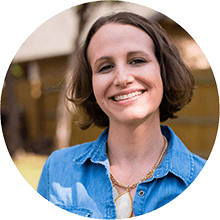 So, today, I wanted to share four brand new ways to enjoy iced tea without all the refined sugar and preservatives that come in pre-made, bottled iced teas. One of the best ways to keep healthy and help your body is running efficiently is to make sure you are drinking enough water during the day. 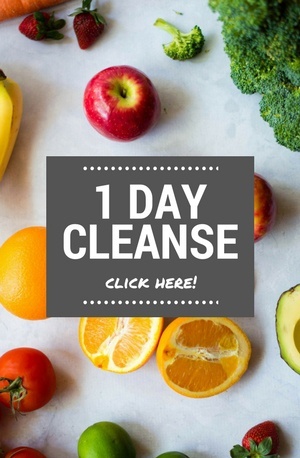 They say you’re supposed to be drinking half your weight, in ounces, of water each day. That means, if you weigh 140 pounds, you should aim to be drinking 70 ounces of water each day. This number goes up if you are exercising, but it’s a good way to have a baseline. I hear from a lot of people they struggle with drinking plain ol’ water each day so they wind up not meeting their daily water requirements. 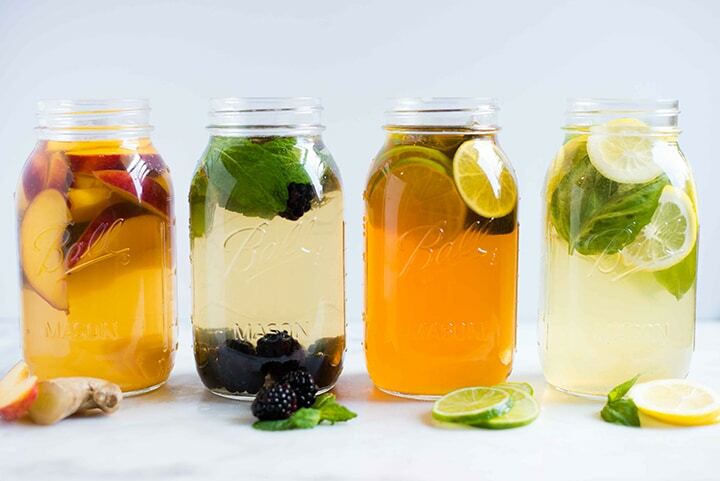 One tasty way to increase the amount of water you’re drinking is to make healthy iced tea recipes — this allows you some more flavor, but also keeps you hydrated. You can also choose if you want the added caffeine, or not. I’ve found a new flavor combination I absolutely LOVE and it’s lemon basil. The combination of the tart lemon and sweet basil is so yummy and goes great in this iced tea. This is my favorite ice tea recipe right now and is perfect for summer. One big question I think a lot of people have is whether or not iced tea is good for you. As per usual, my go-to answer with most questions like this is, “It depends.” What does it depend on? Are you adding a ton of sugar into your iced tea? Did you already have 6 iced teas and want another one in the same day? 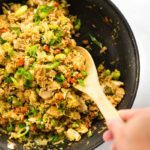 Did you use clean, simple, and fresh ingredients? 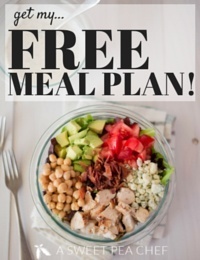 Is it helping you reach your daily water intake minimums? Here’s the deal. 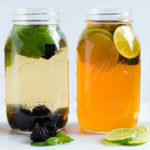 Overall, if you’re limiting the amount of caffeine in a day, you’re not adding a ton of sugar or highly processed ingredients, and you’re just enjoying a refreshing iced tea recipe to change up your pace of drinking plain water to keep you hydrated, iced tea is a perfectly healthy choice. 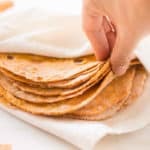 There are tons of different ways to make iced tea, from using cold brew tea bags, loose leaf tea, setting it out in the sun for sun tea, and pouring hot water over the tea bags, among others. 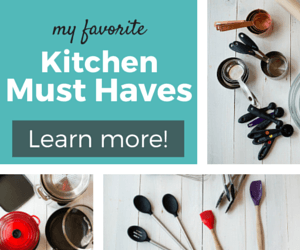 I prefer using the hot water method because it is quick and efficient. That being said, there’s no wrong way to make iced tea using the recipes I’ve shared below. 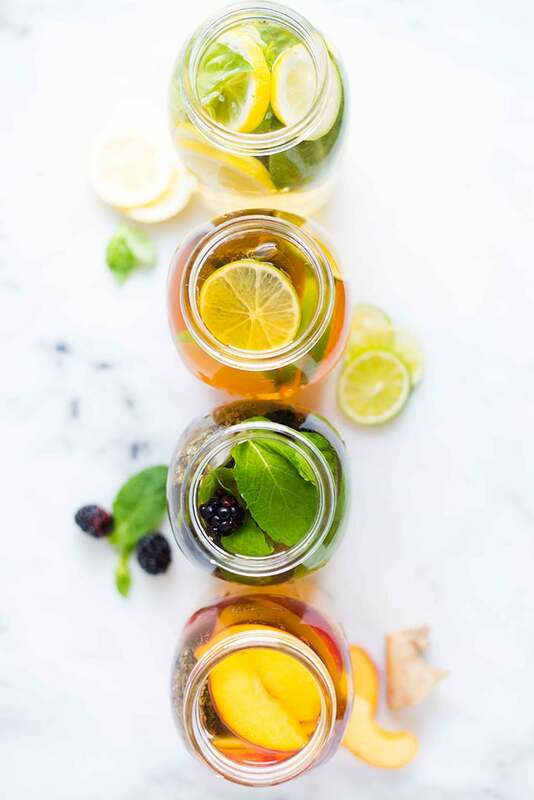 For storage, I like keeping my iced teas in 1 quart mason jars in the fridge – not only are they pretty, but they’re easy to grab and perfect for both the hot water and then the cold drink. Remember not to store the teas for too long with the tea bags in the water — the longer the tea bag is in the water after it has steeped, the stronger the flavor your tea will have, eventually turning into an overly bitter flavor. After I let the teas steep in the hot water, I remove and discard the tea bags, but keep the fresh fruit and herbs in the mason jars. 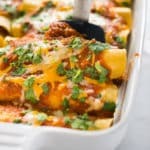 This works great with fresh fruit, but the herbs do need to be removed within a few hours, or they start to deteriorate. Peach and ginger go very well together and create a tart, spicy iced tea recipe that is a great change to your typical iced tea. This is also a great use of those fresh summer peaches you have on hand. If you’re used to drinking iced tea with artificial or real sugar, having iced tea without sugar can come as a bit of a shock to your tastebuds. 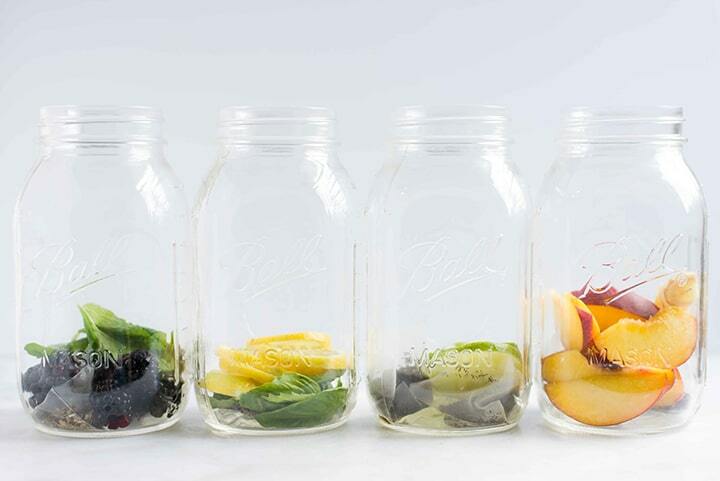 The fresh fruits and herbs in these four healthy iced teas definitely helps naturally sweeten the iced teas, which is awesome. However, if you want to add a little sweetener to your iced tea, try using raw honey (or pure maple syrup for a vegan option) right before you place it in the fridge to chill. Try to keep the sweetness level just under what tastes perfectly sweet to you so that, next time, you can add a little less honey and then even less the next time. Over time, you’ll train your tastebuds to like the natural flavors and sweetness of the iced tea, rather than the honey. Have you ever tried making your own iced tea with coconut water? Since coconut water is naturally sweet, adding some fresh lime slices is the perfect addition to balance out the flavor. Add in a tea bag or two and you’ve got a great iced tea recipe. Four different ways to stay hydrated this summer. Which one will you choose first? Try these four fresh and healthy iced tea recipes to keep you hydrated this summer. 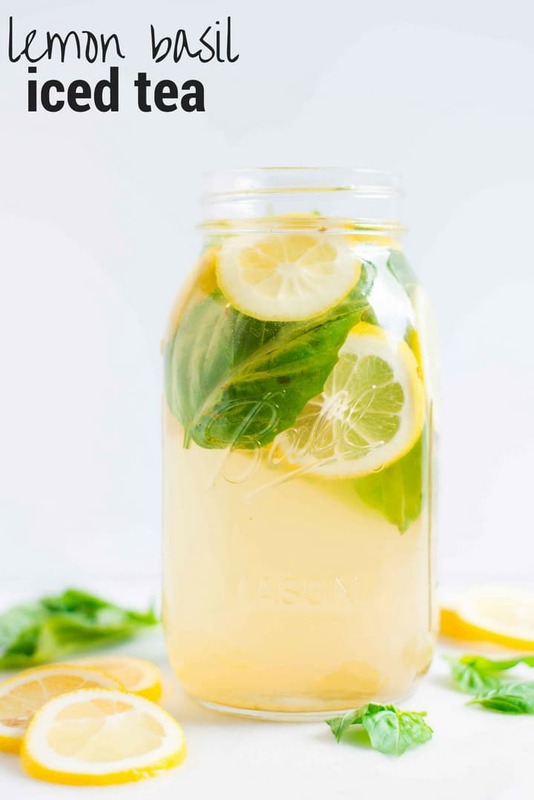 Add the lemon slices, fresh basil leaves, and green tea bags to a 1 quart mason jar or pitcher. Pour hot water into the mason jar, and allow to steep for 15 minutes. Then, remove the tea bags. Place into the fridge to completely chill for 3-4 hours for the flavors to release. 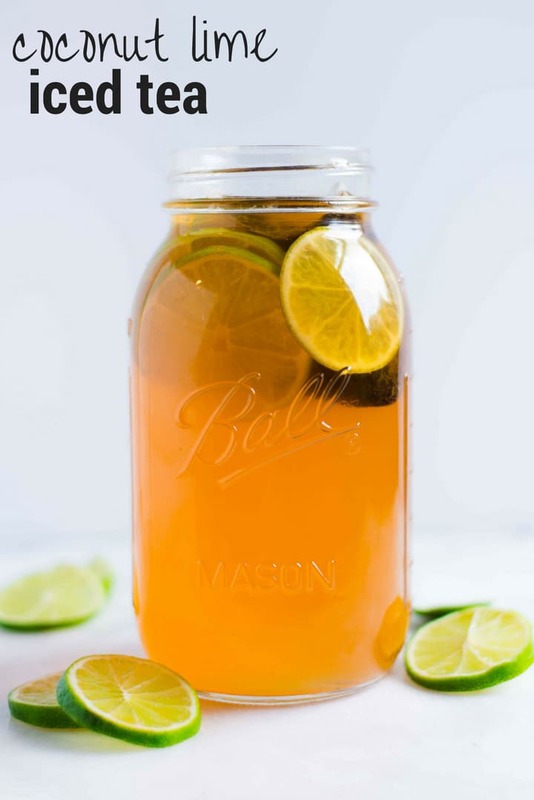 Add the black tea bags and sliced lime to a 1 quart mason jar or pitcher. Pour heated coconut water into the mason jar, and allow to steep for 15 minutes. Then, remove the tea bags. 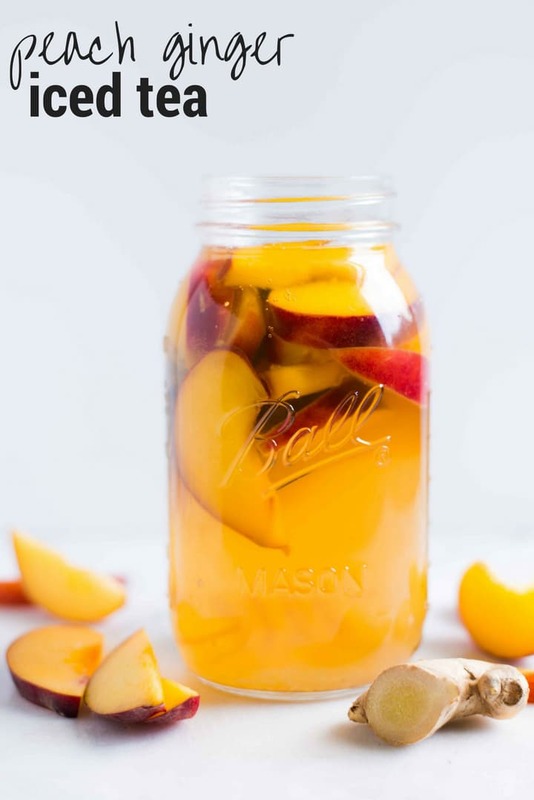 Add the sliced peach and green tea bags to a 1 quart mason jar or pitcher. Skewer the sliced ginger coins on a toothpick, if desired, to make them easier to remove later, and then add them to the jar. Pour the hot water into the mason jar, and allow to steep for 15 minutes. Then, remove the tea bags. 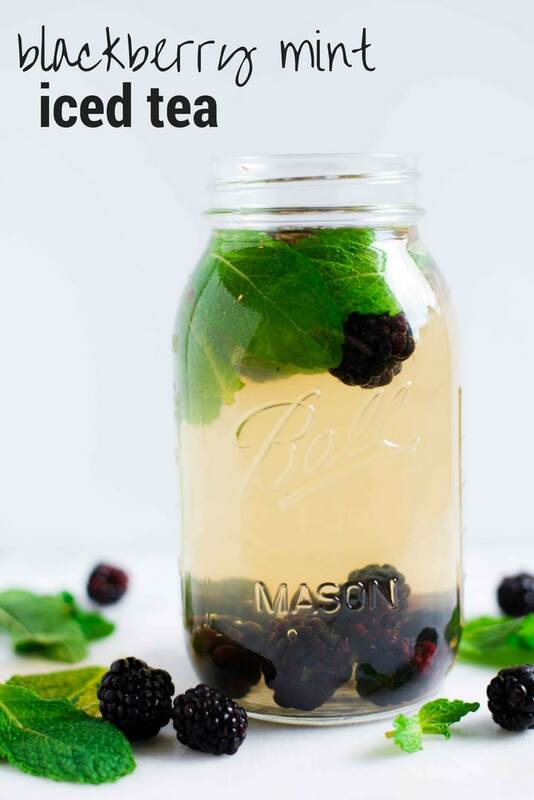 Add the fresh blackberries, mint leaves, and green tea bags to a 1 quart mason jar or pitcher. Nutritional information provided is for one serving of the Lemon Basil Iced Tea without optional raw honey added. Ice tea is really good for health as it have many flavors which are naturally and makes the body cells active and work efficiently. Herbal ice tea should be taken with honey as combination of honey and lemon helps in reducing the weight efficiently. AAny beverage suits your body when the vendor is a well known practitioner, try our healthy iced tea , iam sure you would want more. Nice article and thank you for sharing various of recipes of tea. I love iced tea! 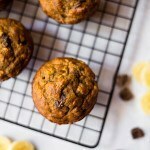 Super curious bout that recipe with ginger, seems to be really refreshing!